Brown Creepers are tiny woodland birds with an affinity for the biggest trees they can find. Look for these little, long-tailed scraps of brown and white spiraling up stout trunks and main branches, sometimes passing downward-facing nuthatches along the way. They probe into crevices and pick at loose bark with their slender, down curved bills, and build their hammock-shaped nests behind peeling flakes of bark. Their piercing calls can make it much easier to find this hard-to-see but common species. Brown Creepers eat insects, spiders and their eggs, and pupae that they find hidden in bark crevices. They eat some seeds and will come to suet feeders. The Brown Creeper prefers forests with many large live trees for foraging and large loose-barked (often dead or dying) trees for nesting. Brown Creepers are well camouflaged and inconspicuous against tree bark in a shady forest, but if you keep your eyes peeled for movement, you may find a creeper zigzagging upward as it gleans insects from the trunk, or see the small shape of one dropping from high on a trunk to the base of a nearby tree. 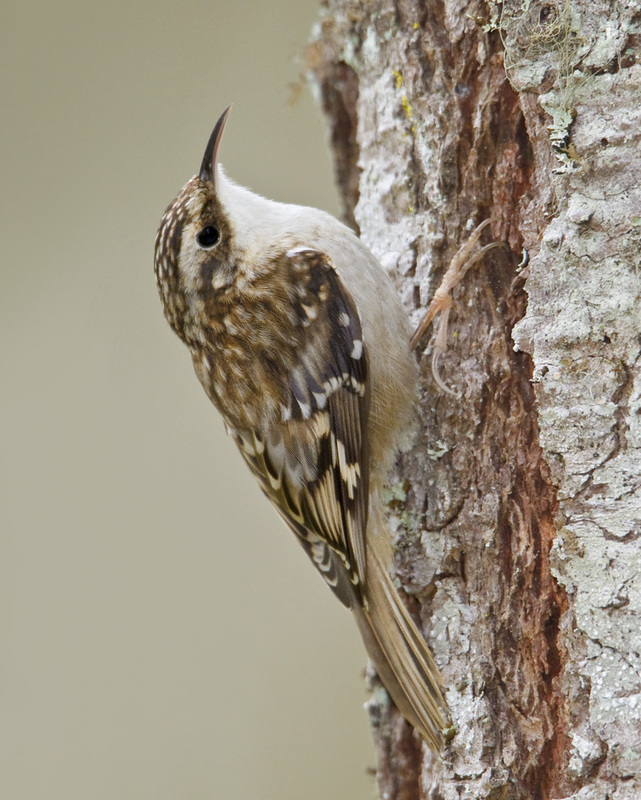 While the Brown Creeper is common across the U.S. it has a limited distribution in the Southern Appalachians and is negatively impacted by the logging of mature forest habitats. The specie sis known to occur within the Pisgah National Forest of North Carolina and inhabits the Courthouse Project area which the Forest Service is planning to long. Not only would this project put the Brown Creeper at risk but, it would impact recreation areas, cultural sites, and a State recognized Natural Heritage Area. We have asked our network to take the time to express their opinions about this project and support the conservation and protection of this important natural area. Follow this link to take action.